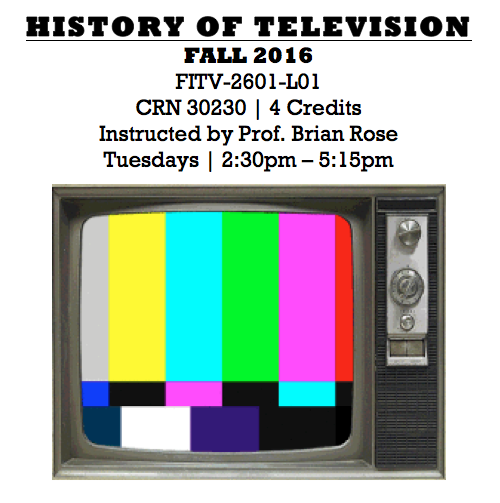 Register for History of Television this Fall 2016 @ Lincoln Center! Claudia Rivera April 27, 2016 May 3, 2016 No Comments on Register for History of Television this Fall 2016 @ Lincoln Center! A look at television’s past, present, and future- from radio to YouTube and beyond. This course surveys the aesthetic, technological, and industrial developments of American television. Starting with the foundations of television in radio and in the global developments of television technologies, the course moves through the development of the network era up to the transitional stages between network and post-network eras. Register on-line or contact Prof. Brian Rose at rose@fordham.edu. Register for First-Person Journalism for Fall 2016 @ Lincoln Center! Summer ’16 Course: Intro to Communications & Media Studies NOW open for Registration!